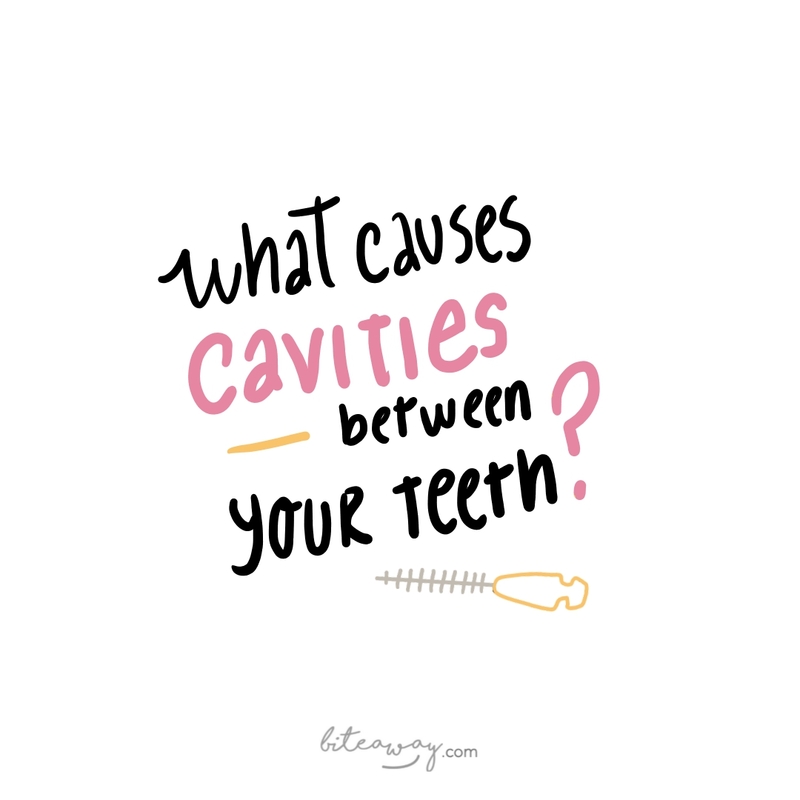 What causes cavities between your teeth? Cavities are little holes in your teeth that appear as a result of tooth decay. In this post, I’ll tell you what the main causes of cavities are, show you how to identify if you have one, and how you can prevent them in the first place. What causes these little holes between your teeth? Cavities are caused by poor dental hygiene and build up between the teeth because that is where the majority of people don’t clean as much. The debris from the food that you eat (especially carbohydrates) and the bacteria in your mouth produce acid, and all that combined with saliva ends up as plaque on your teeth. If you don’t clean the spaces between your teeth properly, this plaque buildup can lead to decay of the coating (enamel) and inner part of your tooth. You will probably know if you have a cavity because it can be very painful! If you have overly sensitive teeth or you’re suffering from toothache, it’s highly likely you have one. Visit your dentist if you have any of these symptoms and they will identify where the problem is. It’s usually when they touch a certain point and you scream out in pain! 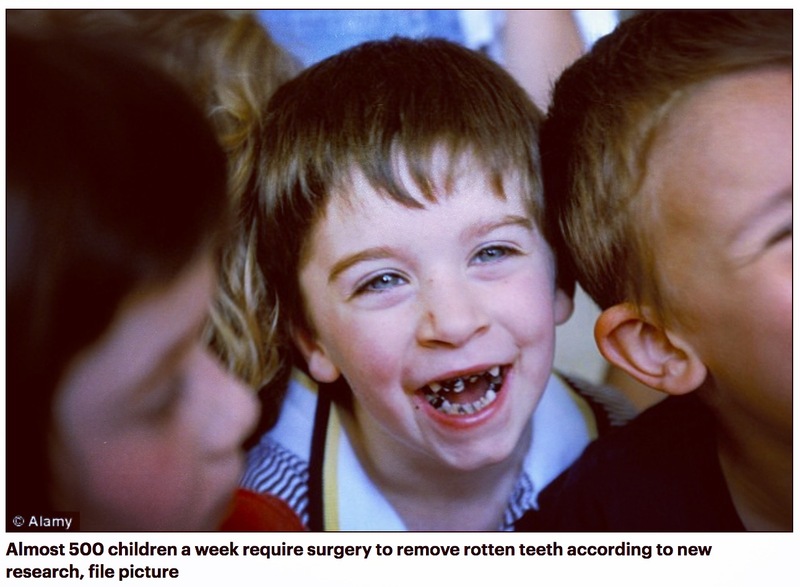 How do you treat cavities? Cavities require treatment when they hit the dentin-enamel junction. 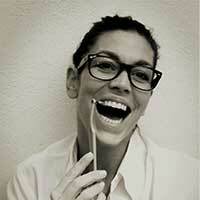 Fillings are the usual treatment for cavities, and your dentist will undertake this procedure. Most of us have had one at some point and it’s never fun, which is why I advocate preventing them in the first place with a thorough daily teeth cleaning routine. This daily routine can also help existing cavities as long as they are in the enamel. See below for my recommended cavity prevention dental routine! My number one piece of advice for treating and preventing cavities is to clean in between your teeth every night, using interdental brushes to get right to the spots where they occur the most. It is the spaces between the teeth where food debris can hide or get stuck, which then leads to the plaque buildup that decays the teeth. By using interdental brushes instead of floss to clean these hard to reach spaces you will get rid of the food particles that have built up over the day and eliminate the main cause of cavities. Check out this video to see the amazing benefits of using interdental brushes. Hopefully, you have been brushing your teeth a couple of times a day for most of your life. But if you’re not sure what is the best way to brush your teeth, I recommend 2 minutes at a time, in the morning and evening. Brush with a gentle pressure (to avoid wedge defects) and try and clean one tooth at a time so you don’t miss any. Most of your mouth’s bacteria live on your tongue. They make up the smelly white film on your tongue that is worse after a night out or if you’re dehydrated. Left to thrive, these bacteria can lead to a whole host of oral health conditions such as plaque buildup, cavities and gum disease. The easiest way to clean these bacteria off your tongue is with a tongue scraper. Use it twice a day in the morning and evening before brushing, scraping from the back of the tongue to the tip. To finish your evening dental routine, swill mouthwash for 60 seconds. Use a mouthwash that contains flouride because this helps to make your tooth enamel strong and protects it against acid. Remember, mouthwash is never a substitute for cleaning in between your teeth with interdental brushes! So, that’s how you can prevent painful cavities from forming in your teeth. It also happens to be how you can eliminate bad breath and get a beautiful smile. Why not get started with your new routine today? Sign up to our monthly newsletter and learn how to eliminate bad breath, keep your mouth healthy and smile with confidence. Don't leave without becoming part of the Biteaway community! keep your mouth healthy and smile with confidence.